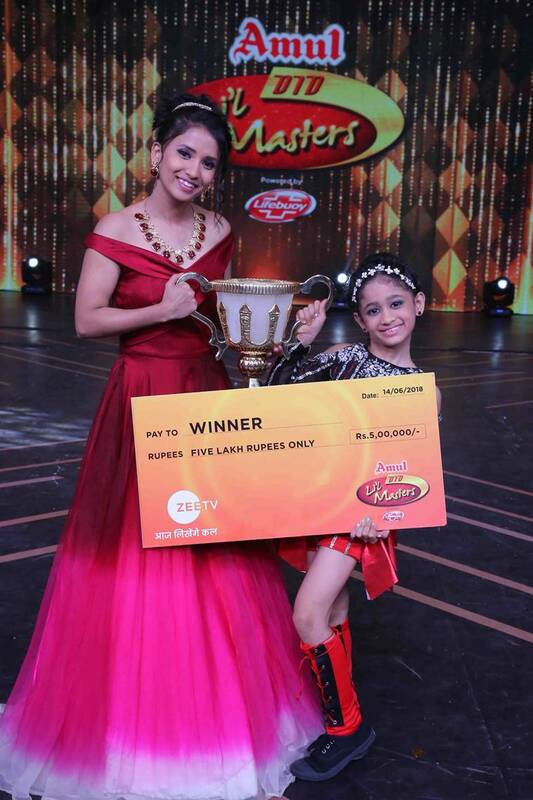 Nine-year-old Jiya Thakur was declared winner of Dance India Dance Li’l Masters season 4 on Sunday. Urva and Tamman were announced as the first and second runners-up, respectively. Along with the title and trophy, Jiya Thakur also received a prize money of Rs five lakh. Dance India Dance Li’l Masters season 4 ended on Sunday evening with an entertaining grand finale. The top five contestants Urva Bhavsar, AP Rockers, Jiya Thakur, Tamman Gamnu and Mann-Amit enthralled the audience with their dance moves. After a gala night, the judges Farah Khan, Siddharth Anand and Marzi Pestonji announced Jiya as the winner of the show. Along with the title and trophy, the nine-year-old from Hyderabad also received a prize money of Rs five lakh. Urva and Tamman were announced as the first and second runners-up, respectively and were also awarded cash prizes to celebrate their journey and achievements on the show. The grand finale of Dance India Dance Li’l Masters was nothing short of an entertainment extravaganza. Apart from hosts Jay Bhanushali and Tamanna, Zee’s upcoming show India’s Best Dramebaaz’s host Shantanu Maheshwari took responsibility of taking the night ahead. Along with the finalists, the skippers Jeetumoni Kalita, Vaishnavi Patil, Tanay and Bir Sherpa also gave some mind-blowing performances.